The Orange Partner program is a dedicated program for mobile application developers, games publishers, content providers, systems integrators and providers of converged services – helping them to provide compelling products and services using the Orange network. 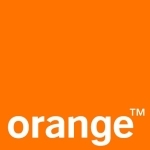 France Telecom-Orange is one of the world’s leading telecommunications operators with 170,000 employees worldwide and sales of 22.6 billion euros in the first semester 2011. Present in 35 countries, the Group had a customer base of 217.3 million customers at 30 June 2011, including 143 million customers under the Orange brand, the Group’s single brand for internet, television and mobile services in the majority of countries where the company operates. France Telecom (NYSE:FTE) is listed on Euronext Paris and on the New York Stock Exchange. For more information visit www.orange.com.